Magic with playing cards has always held a deep fascination for performers and audiences alike, most likely due to the almost infinite variety of effects that are possible with them. Everything from sleight of hand to topological tricks are all potentially a part of the magician's arsenal and somewhere in this broad spectrum are card effects that almost work by themselves. 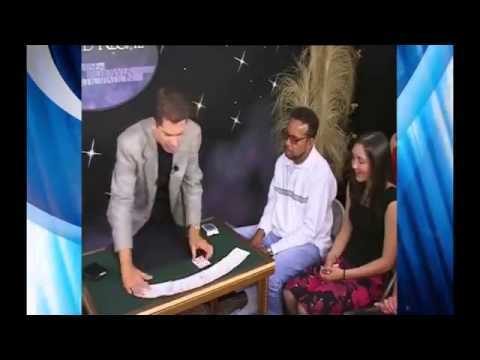 On this DVD, you'll see a number of powerful card tricks that rely not on knuckle-busting manipulation but rather, on mathematical principles, stacks, and subtleties, aided in some cases by very minimal, basic sleight of hand. Daryl starts things off with a trick that combines birthday greetings with the discovery of a selected card.Allan Ackerman puts a differently-colored spin on a classic of card magic. Michael Ammar and Harry Lorayne show two completely different effects that, if learned and performed will guarantee that no one will ever want to play poker with you. Johnny Thompson is able to pluck the four Aces from a spectator-shuffled deck while the cards are in a pocket. Daryl is next with a wonderful effect where the spectator is able to find the Aces himself from a shuffled deck. Harry Lorayne returns to finish off the volume by demonstrating how to turn an ordinary deck of cards into a lie detector. While there's really no such thing as a self-working card trick - you still need to learn the procedures and rehearse an interesting presentation - it remains that a simple trick without the use of sleight of hand can be a deadly weapon when slipped into a card magic set. These kinds of effects can add texture to a magic performance and with the tricks you'll learn on this DVD, even if sleight-of-hand really isn't your thing, you'll always be ready to amaze and amuse when someone slides a deck of cards over to you and says, "Show me something..."
For More magic by World's Greatest Magic click here.